No, it”s not a typo. O.E. belyfan, earlier geleafa (Mercian), gelefa (Northumbrian), gelyfan (W.Saxon) “believe,” from P.Gmc. *ga-laubjan “hold dear, love,” from PIE base *leubh- “to like, desire” (see love). Spelling beleeve is common till 17c. ; then altered perhaps by influence of relieve. To believe on instead of in was more common in 16c. but now is a peculiarity of theology; believe of also sometimes was used in 17c. 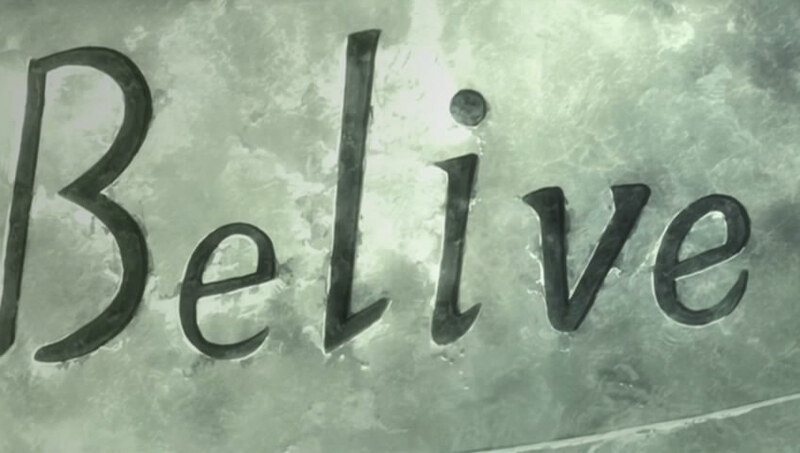 I have always felt that the word believe should be spelt belive. First, it’s a more intuitive spelling. be + live = belive. Second, it’s a more accurate description. To believe in something, one must become it and in becoming, live the part according to one’s beliefs. Much like an actor acting out a role, a believer creates his role and then acts it out, i.e. the usage of life to create the basis for belief. In short: Be it, and live it. Belive.